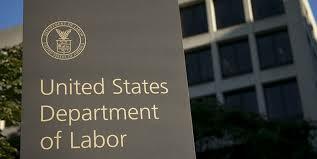 This blog post continues a series exploring the DOL Fiduciary Rule (“DOL FR”). My previous blog posts can be found here. Industry custom and practice is frequently a topic of expert testimony in securities litigations. However, under the DOL FR, this will no longer be relevant when it comes to justifying compensation. The mere fact that “everyone is doing it” will fail to meet the fiduciary standard. As discussed in a previous blog post, what will be required is diligence that meets the Prudent Expert Standard and all the attendant fiduciary obligations. This will require substantial, documented, due diligence into the recommended investment and alternatives. Each investment will have to stand on its own against comparable investments in the same category. As an example, before a large cap growth mutual fund can be recommended, it will have to be judged against other large cap growth investment options, including: both active and passive mutual funds and ETFs. Are Index Funds the Only Prudent Investment? … the Department confirms that an Adviser and Financial Institution do not have to recommend the transaction that is the lowest cost or that generates the lowest fees without regard to other relevant factors. However, advisors will be hard pressed to justify not using index funds. Contrary to popular belief, index funds don’t give average returns, most index funds perform in the 75-80th percentile range compared to other funds in their category, over five- and 10-year periods. Furthermore, the longer the time horizon of the investor, the more compelling are index funds due to the simple math of compounding returns on the fees avoided. Since, most IRA and pension fund assets are managed for the long term, this is highly salient. In my example, the investor is receiving large cap growth stocks. Is it reasonable to charge more and deliver what is likely to be worse performance? That is very difficult to justify. Another factor making active management hard to justify is that many active funds have a significant overlap with their benchmark index. This “closet indexing” means that the fund manager is buying the same stocks that are in the benchmark. This would be harmless except for the fact that many benchmark indexes are almost costless while active funds frequently charge one percent or more for their services. Where closet indexing occurs, the client is paying an active fee for passive management, which is not reasonable and fails the fiduciary standard. Closet indexing can be measured using the active share and other metrics, which I will discuss in more detail in later posts. Because of their extremely low fees and generally superior long-term performance, index funds can help advisors accomplish the DOL’s goals of "rooting out excessive fees and substandard performance". Federal Register; Vol. 81. No. 68; April 8, 2016; Definition of the Term Fiduciary; 20951. This language also appears, verbatim, in the DOL Regulatory Impact Analysis; April 14, 2015; 7. Federal Register; Vol. 81, No. 68; April 8, 2016; Best Interest Contract Exemption; 21003. Federal Register; Vol. 81, No. 68; April 8, 2016; Best Interest Contract Exemption; 21030. I am including here capitalization-weighted and non-capitalization weighted indexes (aka “smart beta” indexes), many of which have proven to outperform the relevant capitalization-weighted index on an after-fee basis. Russel Kinnel, Predictive Power of Fees: Why Mutual Fund Fees Are So Important; Morningstar; May 2016; 1-2. Available at: http://news.morningstar.com/articlenet/article.aspx?id=752485; Accessed May 23, 2017. Id. Success is defined as a fund surviving the entire time period and outperforming the relevant category group; 1. Id. at 3. The lowest fee funds are in the first Expense Ratio Quintile and the highest fee funds are in the fifth Expense Ratio Quintile, etc. For instance, the Vanguard S&P 500 Index ETF has an expense ratio of four basis points, (4/100) of one percent. Bloomberg; August 9, 2017. Morningstar reports that the average third quintile expense ratios for U.S. Equity mutual funds was 1.26 percent as of December 31, 2010. See supra Note 6; at 4. To learn more about ERISA fiduciary expert Jack Duval, click here.